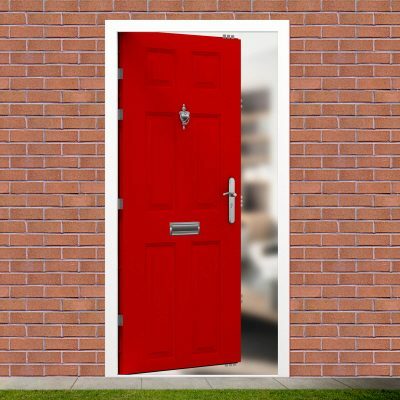 Secure your home with our high security front doors, in stock from just £450+VAT. Featuring our industry leading security 19 point locking system; constructed with thick gauge steel and heavy duty materials, our front steel security doors are the most secure in the market at the best prices, guaranteed. 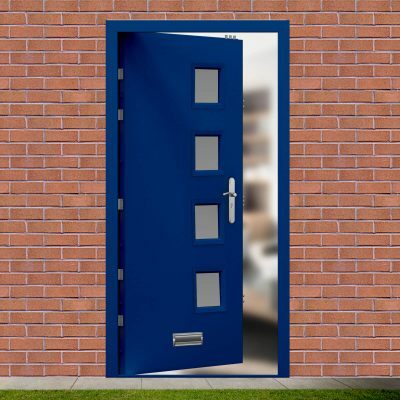 Available either flush or with a Georgian six-panel design in a huge range of colours; with an infinite amount of glazing options to create a luxury & highly secure front door for your home. 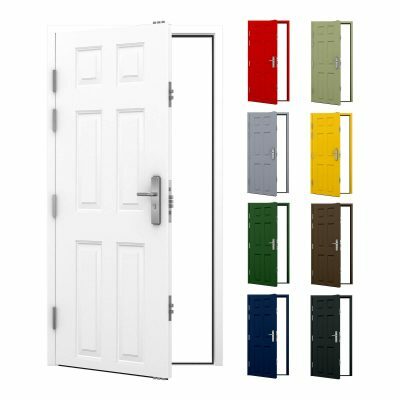 Choose your door style below, then spec your colour and ironmongery to match the look and finish of the security front door with your home. 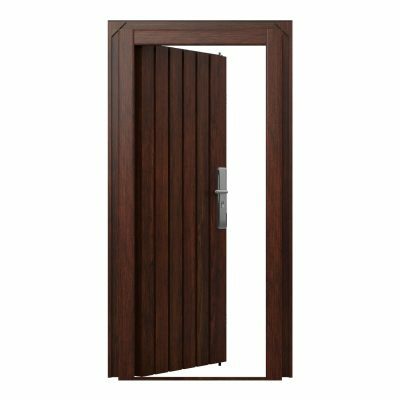 Using our most secure door yet, known as the Ultra Duty High Security Door, we have designed the ultra high security front door for clients needing additional security and peace of mind. Featuring a superior multi point locking system and an integrated jemmy bar lip (which is hidden when the door is closed). Being 40% thicker than our other security front doors, means that the insulation values are far superior. Any glazing added to this front door will be double glazing with anti-bandit glass and can be obscured if necessary. 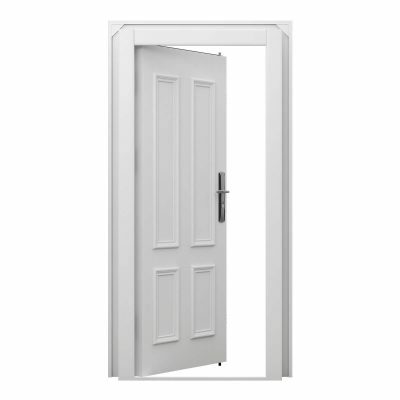 Our Budget 6 Panel Front Door still features our trademark 19 point locking system and a Georgian 6 panel design, but is constructed using our standard duty specification with thinner steel for the door leaf and frame. 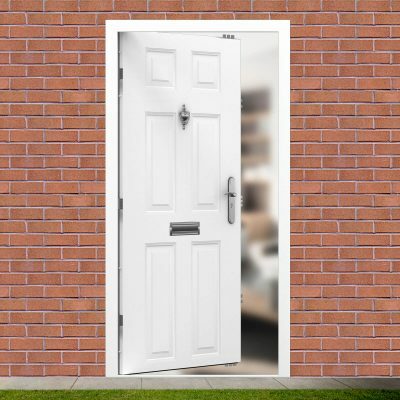 This door includes a fitted letterbox, door viewer, door knocker and UPVC style handles. Powder coating in a range of colours is also available at an extra cost. For those looking for a security front door with acoustic and thermal values, we have a 6 Panel Security Front Door, Flush Security Front Door, and our Flush High Security Front Door. 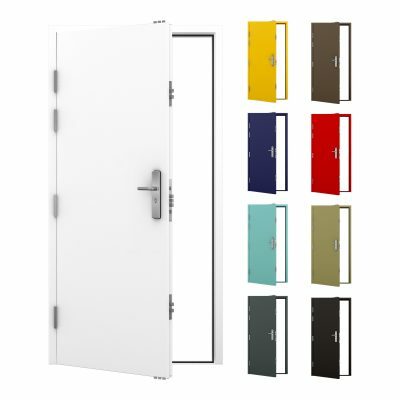 We also have our Elite Range of doors available.